THE HIPPO IS INVADING ATLANTIC WATERS AND BEYOND. 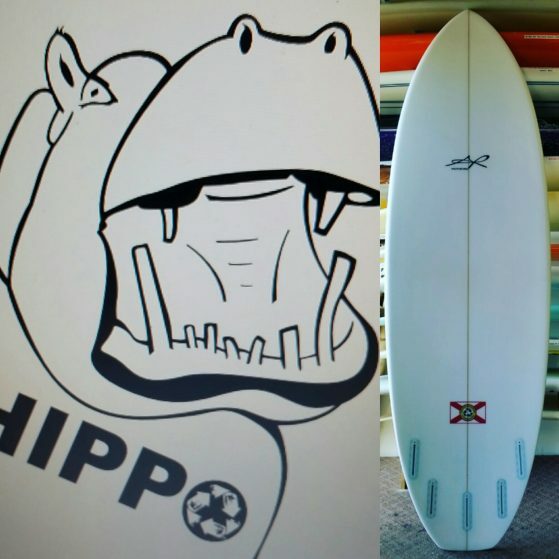 Model = The Hippo 5’4″” – 7’2″ usually 19+ wide 2.25 -3″+ thick made for easy paddle with a high performance outline and rocker. Great for bigger guy 200lbs+, design that will give a high performance feel with a fast transition into the wave to allow rider more time to put on rail. Come by and order your HIPPO today! Featured board 6’8″ 23 1/2″ x 3 1/2″ five fin squash tail.